David M. Barish joined Katz Friedman in the fall of 2001. He covers cases that are set in Chicago, Rockford, Woodstock, Waukegan, Elgin, Wheaton, Geneva and New Lenox. He is available to meet clients at many locations in northern Illinois. David is fluent in Spanish and works with a paralegal who is also a fluent Spanish speaker. He has also represented many Polish speaking clients. During the course of his three-decade career he has practiced workers’ compensation law across the state of Illinois and has argued many cases before the Appellate Court of Illinois including Illinois Armored Car v. Industrial Commission, David has an AV, preeminent rating from Martindale Hubbell and a perfect 10 rating from Avvo. A gifted teacher and public speaker, he has presented and moderated seminars on a variety of workers’ compensation topics for the Illinois State Bar Association, Chicago Bar Association, Illinois Institute of Continuing Legal Education, National Business Institute and other organizations on a variety of workers’ compensation topics including evidence, jurisdiction, whether an accident arises out of and in the course of employment, and trial strategy. He distinguished himself by achieving high ratings from the reviews he has received for these presentations. He has been a lecturer at the Illinois Workers’ Compensation Commission’s arbitrator training. 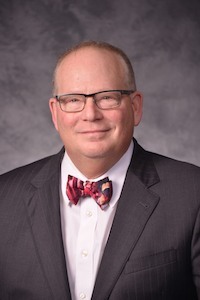 He has been the moderator and co-coordinator for the Illinois Institute of Continuing Legal Education’s Workers’ Compensation Institute since 2014. In 2016 he was named as one of the Leading Lawyers in Illinois Workers’ Compensation law. Prior to his affiliation with Katz Friedman, David was a principal at another firm in Chicago where he represented employers and employees in workers’ compensation, social security, and longshoremen’s cases. David continues to represent injured workers and social security disability claimants as a trial attorney at Katz Friedman. He is an active member of the Workers’ Compensation Lawyer’s Association and the Illinois State Bar Association, where he has been a member of the Workers’ Compensation Section Council. He served as chair of that Section Council from 2009 to 2010. David graduated from Northwestern University in 1980 with a Bachelor of Science in Speech majoring in Communication Studies. He earned his Juris Doctor from DePaul College of Law in 1983. As a Senior Law Student authorized by Illinois Supreme Court rule, David tried more than 50 criminal cases for Public Defender of Cook County. Before attending law school he was a member of Teamsters Local 703 when he worked for a fruit company on Chicago’s South Watermarket. He was sworn in before the Illinois Bar in November 1983. An avid bicycle enthusiast, David commutes to his office on two-wheels when he is not driving a UAW made automobile. David has been involved in cycling advocacy. He is a former President of the Evanston Bicycle club and is a widely respected ride leader. When not writing briefs on behalf of his clients David has written and published personal essays. He is a highly regarded storyteller on the Chicago live literature scene.